RI Wave, you are showing not your age...but your youth! When I lived on Aquidneck Island in the late 60s (dad was stationed there in the Navy), Newport was the center of the sailing universe. The America’s Cup was bolted in place—undefeated since forever. Newport was somewhat isolated then—my family arrived on a ferry because the Newport Bridge was not finished yet. All of us grade schoolers knew everything about the Cup and the run up was bigger than the Red Sox in the 67 World Series and the Bruins playing for the Stanley Cup. The America’s Cup, the Tennis Hall of Fame, and the Newport Jazz Festival were everything. What you see now is 1/10 of what it once was. TUPF, yup, I certainly can agree. Assume you visited Rocky Point a few times. On rare occasions, we would travel from NO to Worcester when I was a kid. Loved the grand patent’s annual ROcky Point trip and the visit to the shore dinner hall. Newport is striving to reclaim the granduer of old and sailing is still a primary focus! 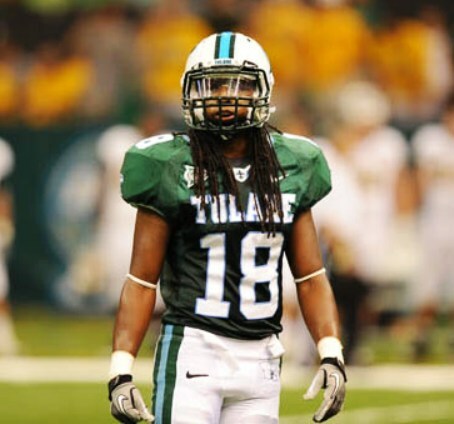 Tulane - UAB to be broadcast on Facebook, according to a FTW post. I posted this in the countdown thread, but I’ll stick it here too. Kendall Hinton, Wake’s projected starting QB is suspended for the first 3 games of the season. The good ole “Violation of team rules”. So, take your pick as it could be a number of things. Noon kick-off for UAB at Legion Field on 9/15. Considered spending my birthday in Birmingham but a noon kickoff in September tells me to go with a more air conditioned celebration. September in the deep south, Noon? I’m sure it was TV, I mean, Facebook that determined the time. That stinks, but I think our fan base makes a bigger deal about it than others (maybe we're older on average than most?). Every week there's an SEC game on at Noon. Every one of those games is hot and humid. When I lived in Birmingham, I went to the occasional Bama or Auburn game at Noon or 2 pm. You put on sunscreen, drink extra water, and deal with it. SEC schools each have hundreds of thousands of fans (if not more), so if some don't want to sit out and broil in the sun then there's plenty more to take their place. Seriously how many Tulane fans won't travel because of the time? If you consider going you're a die hard and not going to let a little heat and humidity deter you. It actually makes traveling easier, its about 5 hours from nola +/- traffic. My guess is they don't want to go up against Bama that night or Auburn that afternoon. Speaking about game times in general more so than just this game in particular. Should I be concerned the game is being streamed on Facebook and not "televised?" I don't have a Facebook account so I guess I'll just drive to Birmingham??!! Folks, just trying to bring a little levity around here. I'm not nuts about the early afternoon start in September. I haven't been to Legion Field since they removed the upper deck but I assume we can find shade beneath press box as needed. Easy road trip from campus. Wave needs this win to have a good season. We definitely have people stay home from home games in the heat so I don't see any reason to think the same wouldn't apply to road games. Road games are a bit different. Some of us only have road games. When out-of-towners make the decision to go to any game - we're going regardless. One is not going to go through the trouble to make reservations, fly in some cases and then sit in the bar because it's raining or too cold/hot. Of course you're not, once you're there you're there and you'll go to the game...but when deciding ahead of time which road game or games you'll attend, it's something to consider.